Meet Donald. He’s 38, a basketball player, an avid shoe enthusiast, works three part-time jobs and is committed to reaching his fitness goals. Donald, how did you hear about Athletes’ Training Center? “I saw a commercial while I was at work and I was convinced this was the place to help me reach my goals. At the time I was playing on an all Native-American traveling, basketball team. I wanted to improve my vertical, get stronger, quicker and improve my stamina. I came in for a free trial, met my coaches and after that, I was hooked and came to workout three days a week for 23 straight months. Then, I took a 7-year break and really didn’t do anything fitness wise. Can you tell us about where do you work? Currently, I work 3 part-time jobs at Chesterman Company (Coca-Cola), UPS and the Cheesecake Factory. I am called a sweeper at UPS where I throw up 50-150 lbs of materials. I have really noticed a difference with my strength there. What goals do you have set for yourself? Currently, I am working toward squatting 500 lbs, improving my 10-yard dash and benching 300 lbs. I’m a very committed person, so once I have my mind set towards something I have to achieve it. What do you want people to take away from your story? “I’d say for anyone who is thinking about working out and making a positive change with their fitness routine, you just have to get started. There are days where I don’t want to come in, I really dread it. But, that feeling once I am done with the workout – it is simply rewarding. When I wake up the next morning sore I knew it was worth it. It’s tough, it is a lot of work, but I wouldn’t be where I am today without challenging myself and by working with the coaches at Athletes’ Training Center. Now fitness is a part of my life again. I passed my 500th workout session at Athletes’ Training Center! I couldn’t do what I loved without getting back in shape. Fitness is just a part of my life now and it’s been rewarding. We have had the pleasure of working with Donald for the past year and a half. In that time he has reached the milestone of accomplishing 500 workouts. Today, he is still working towards his 500 lb squat goal and his bench goal of 300 lb. Donald is committed to staying healthy and wants to continue to get stronger. This entry was posted in Blogs, Fitness and tagged success, story, center, adult, athletes, training, fitness, athlete on September 28, 2018 by Athletes' Training Center. Enjoy unlimited MET-FIT sessions until the end of the year for only $99*! 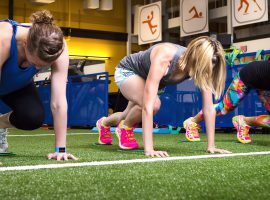 Now is your chance to train with us until the end of the year with a special MET-FIT membership that begins with our annual day after Thanksgiving workout and lets you train in an unlimited number of MET-FIT sessions until December 31st . Hurry! You must purchase before December 2nd to get the special pricing. 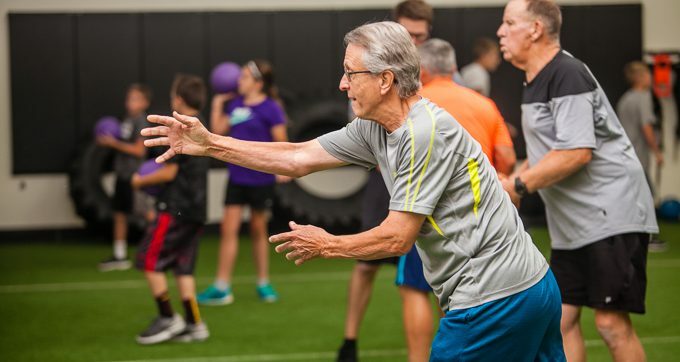 MET-FIT sessions are a blend of resistance training, body weight training, and sports/movement drills constantly mixed up and designed to BURN CALORIES! Members can easily burn an average of 400-600+ calories every session!! Why not stay accountable through the holidays or get an early jump on your New Year’s resolution? Complete the form below to get your exclusive link to buy your membership today. Don’t worry, you’ll have the chance to review your purchase. *Offer is for new clients only and is not valid for anyone who has had a membership in the past 2 years. This entry was posted in News, Uncategorized and tagged papillion, resolution, omaha, fitness on November 5, 2017 by Athletes' Training Center. Making changes is really tough. Human nature often seems to get the best of us, no matter how hard we try to instill a new habit or focus in on a goal. Some of us struggle more than others and some people have an easier time with it. (I think the latter are where performance coaches come from). Either way, it might be good to start with a basic concept about motivation. We are motivated in two ways – intrinsically and extrinsically. Intrinsic motivators are things that come from within like the desire to do your best, the ability to stay dialed into a goal, or the pleasure you get from doing a good job. Extrinisic motivators are things outside of you that push you towards an action. For example, a free t-shirt upon joining, a contest with a big prize at the end, a reward your coach gives you for making it to your 20th session. The key to staying locked in on a goal or making sustainable changes to a behavior is to get yourself to a place where you rely on intrinsic motivation. Or, at least, that is what they teach you in school when you study exercise science. 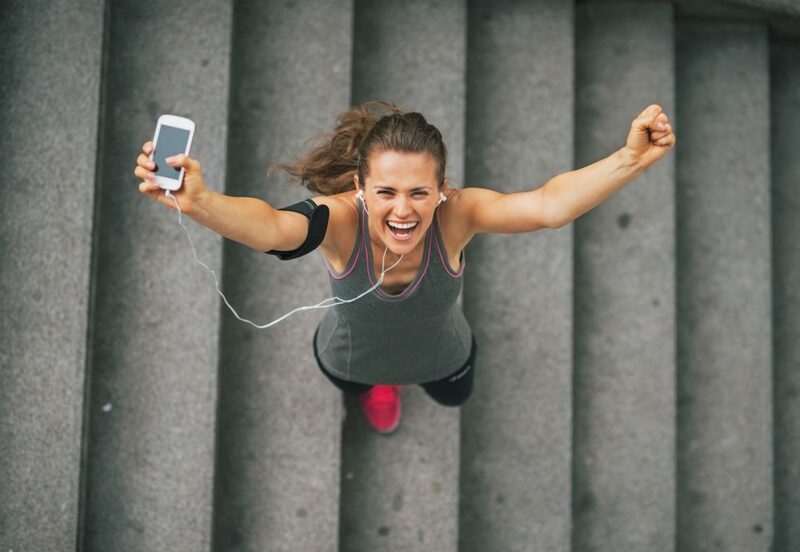 You’re taught to design fitness programs or corporate wellness programs with lots of extrinsic reward up front with a goal to move people to intrinsic motivators to stay at it all by themselves. I am sitting in an airport right now watching people and I don’t think this model is working. How about we figure out what motivates each person? It is not the same for each of us – I can assure you that! How about we help empower people to become self-aware to know what works for them and then make sure we embed that into their programs? Obviously this is just my opinion, but I watch our coaches work with our members on a personal level like this everyday and see it gets results. I know digging in and learning about the person and what motivates them or keeps them accountable is an important part of serving the client. I also know that most people need some form of ongoing extrinsic motivating factors surrounding them. Sure, there are those few that are self-disciplined or motivated at a higher level. However, the majority of us need constant focus on a reward or goal. I believe it is time people start demanding more out of the training experience and this is simply not possible with the big box gym set-up with the cheap monthly membership. Is semi-private training an investment? Yes, absolutely it is. Is it worth it? Well, is what you’re doing now working? Question: Consider your personal behaviors… what truly motivates you? 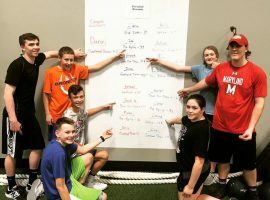 This entry was posted in Blogs, Fitness, Advice and tagged intrinsic, motiators, extrinsic, danielle, kleber, motivation, fitness on June 19, 2017 by Athletes' Training Center. The push up movement is one that I see many of our members struggle with. It isn’t because they are not capable of doing them. I think most of the time they struggle because they are not aware of what a proper push up should look like. We are here to direct you on the right path to doing a shoulder friendly and strong abdominal push up. Let’s dive into 3 common mistakes that we see our members make when they are trying their push ups. With this mistake, people tend to not use their abs or core correctly. This can cause unwanted stress on other muscles and joints. Make sure your hands are directly under your shoulders when starting and finishing your push up. Refer to image (5). Refer to image (4). Don’t allow your hands to be placed in front of your shoulders. It is vital to keep your hips level with your shoulders throughout the entire movement including the start and the finish of a push up. Refer to image (5). If we allow our hips to drop lower than our shoulders as demonstrated in images (3 & 6) we will produce extension in our low back and not using our abdominals to stabilize our body. One of the most popular flaws is letting the elbows point to the side as can be seen in image (1). As you can see with this poor technique, when one’s elbows point out to the side their head meets their hands at the bottom position. This is not good. This can present shoulder pain and is a compensation of poor core control during the lowering and raising portion of the push up movement. We should shoot to have our elbows angle back towards our waist and our shoulders meeting our hands at the bottom position (2). Along with being mindful of these three flaws, a good way to improve your push up ability is to put your hands on a bench or chair. Once you perform a push up properly on a bench then you can go ahead and move to the floor. A good repetition range to shoot for is 3 sets of 8-15 repetitions. Pictured above is an example of a good push up with proper form. 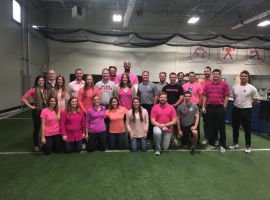 This entry was posted in Fitness and tagged ups, push, joe, clausen, Servais, trent, fitness, tips on April 20, 2017 by Athletes' Training Center. Fruits and vegetables are full of vitamins, minerals, phytochemicals, and antioxidants which help protect us from illness, fight off inflammation from exercise, and promote good health. But, it never ceases to amaze me how many of my fitness members say they fall short on incorporating these “super foods” into their daily meals. Today, I will share with you some quick and easy tips on how to incorporate fruit and veggies into your daily routine. How many servings of fruit and veggies should you aim for in a day? Try to aim for 4-5 servings of vegetables and at least 3 servings of fruit each day. Focus on varying the colors of the fruits and vegetables you eat every day because different colors have different amounts and types of healthy vitamins, minerals, and antioxidants. 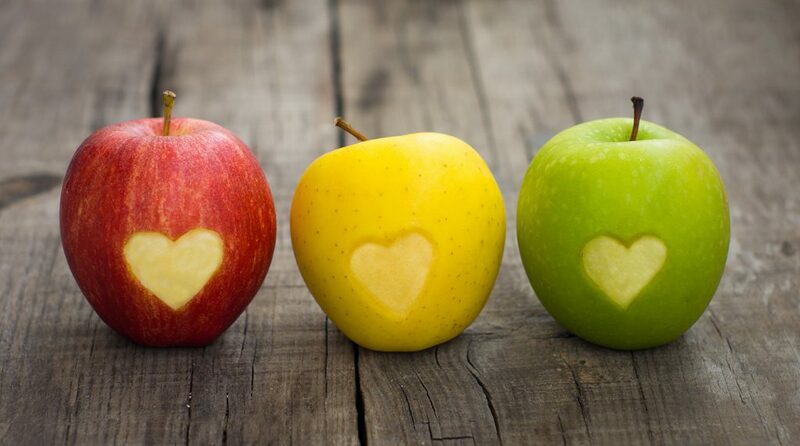 Are you among the many people that struggle with finding ways to incorporate fruits and vegetables into your diet? Try these tips for incorporating these “super foods” into your daily meals. Tips: How can I incorporate more fruit and veggies into my meals? Why is adequate fruit and vegetable consumption so important? Find out more at precisionnutrition.com. This entry was posted in Blogs, Nutrition and tagged trenton, clausen, trent, eating, center, athletes, health, training, fitness, nutrition on February 13, 2017 by Athletes' Training Center. As we are well into the wonderful winter season, I want to take a moment to share some tips on snow shoveling that I hope will come in useful and maybe keep you from having to visit your favorite physical therapist. As anyone who has ever picked up a snow shovel knows, it is WORK. In 1996, the Surgeon General noted that shoveling snow for 15 minutes was considered moderate physical activity equivalent to speed walking at 5 mph for 15 minutes on a treadmill. As with any other physical activity, a warm up is always important. When completing a warm up, I encourage an active motion that is similar to the movement that you will be doing. In this case I suggest a lunge with arm reach toward the opposite knee (see above picture). Perform 10 lunges on both sides. This will help emphasize the need to bend with your legs, increase muscle activity, and provide a nice warm up before you ask your legs to lift a load. After the lunges, I also encourage some light stretching of the shoulders, neck and low back. Good stretches to complete include pulling your arm across your chest, looking over your shoulder and seated rotational stretches for your low back. Hold the stretch for 20 seconds and repeat 2-3 times. Now let us get to the most important thing. Bend your knees like you are going to lunge. DO NOT reach your arms forward when shoveling, LUNGE forward. This reduces strain on your back. When throwing the snow off to the side, move your feet and DO NOT simply twist at the waist. Avoiding twisting will reduce the possibility of straining your back. 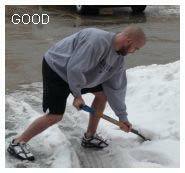 Push opposed to lifting: If you can push the snow forward opposed to lifting this will reduce the strain on your back. Stay hydrated. Just because it is winter doesn’t mean you don’t get dehydrated. Choose an appropriate shovel size and DO NOT overload it! Take a break when needed. If we get 10 inches, shovel in sections and not all at once. If all else fails, my last recommendation is a good snow blower. Happy shoveling! This entry was posted in Blogs, Fitness, Physical Therapy and tagged shoveling, snow, nick, back, pain, Wegener, fitness on February 6, 2017 by Athletes' Training Center. 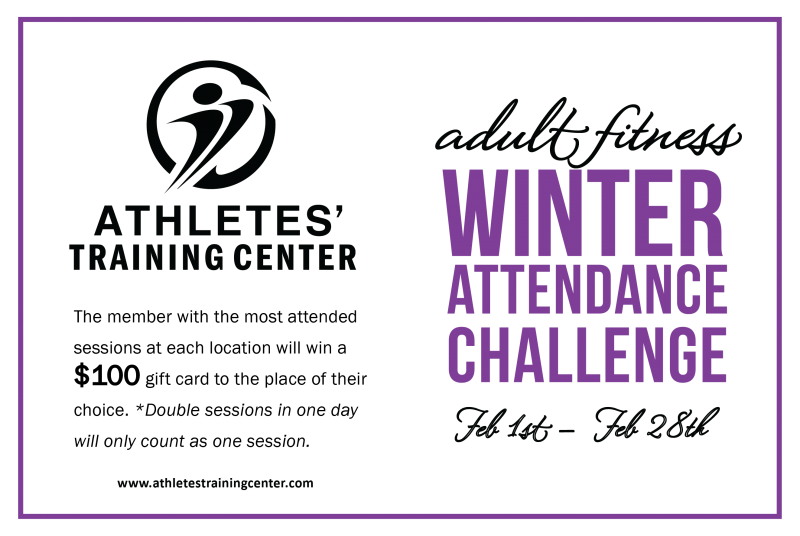 Adult Fitness – Winter Attendance Challenge! We greatly appreciate all of our members and would like to thank you for your membership by hosting another ATTENDANCE CHALLENGE for all of our current members! How long is the attendance challenge held? The Winter Attendance Challenge will begin February 1st and will continue through February 28th. The member with the most attended sessions at each location by the end of the contest will win a $100 gift card to the place of their choice. *Double sessions in one day will only count as one session. This entry was posted in News and tagged attendance, challenge, adult, fitness on January 26, 2017 by Athletes' Training Center. A lot of people are looking for the secret code or magic potion to look, feel, train or perform better. I’m a firm believer that there is not any of that, and it takes consistent effort and formulating habits that will truly help you achieve your fitness or performance goals. That is why I am going to reveal my Top 5 Healthy Habits that will give you some leeway to not always be perfect. If you can perform these habits at least 80% of the time you will see huge improvements on your looks and how you feel along with improving your daily performance on the sports, in the field or at work. Strength training, jogging, cycling, playing sports, walking, etc. Nutrient dense foods would be fresh fruits and vegetables, high fiber carbohydrates, lean sources of protein. Calorie dense foods would be fried foods, potato chips, bacon, sausage, ice cream, soda, etc. With these Top 5 Healthy Habits you can start at achieving your goals, but it’s all about consistency. Remember, “Consistent action creates consistent results.” These habits are just a few that you can adopt to help you achieve your goals. 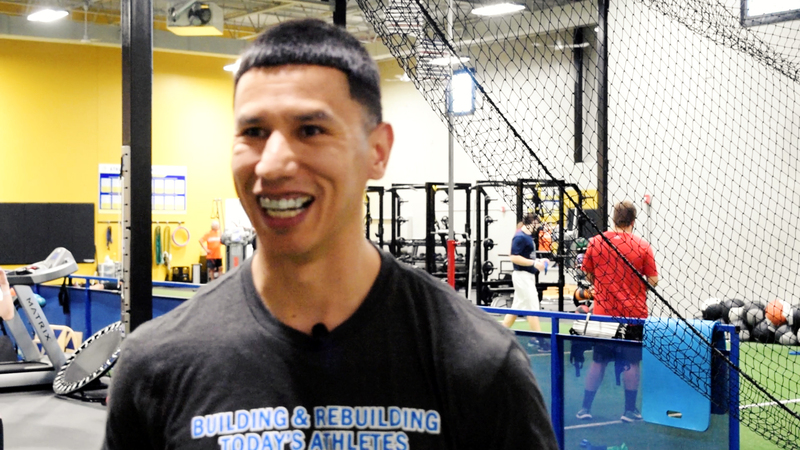 Don’t miss out the many more healthy tips that Athletes’ Training Center has to offer. Question: What do you think will be the hardest part of following these Top 5 Healthy Habits? This entry was posted in Blogs, Fitness, Advice and tagged trent, claussen, health, fitness, healthy habits, in shape, eating healthy, adult fitness on January 9, 2017 by Athletes' Training Center. Tired of the same old socks and underwear for Christmas? 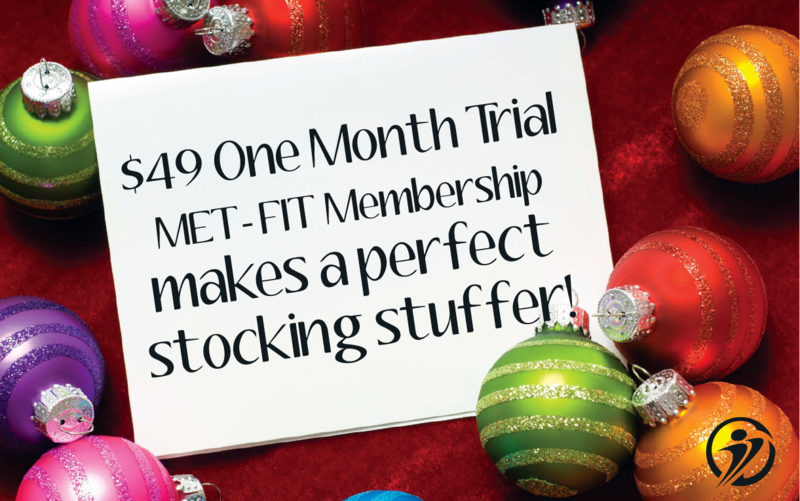 How about a gift of a $49 monthly membership to our MET-FIT sessions? 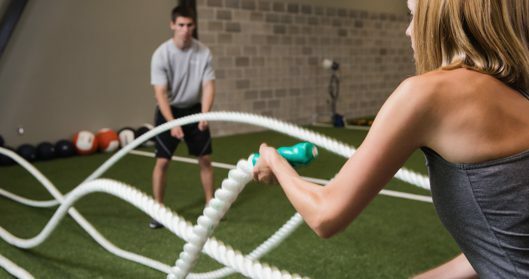 (MET-FIT) training is a blend of resistance training, body weight training, and sports/movement drills constantly mixed up and designed to BURN CALORIES! Members can easily burn an average of 300-600+ calories every session!! Contact Danielle at dkleber@athletestrainingcenter.com to make purchase arrangements. Or call us at 402.932.7111. This entry was posted in Fitness, News and tagged weight, adult, training, fitness, coaching on December 5, 2016 by Athletes' Training Center. Bad moods are a part of everyday life. How a person handles a bad mood will determine if the mood will improve or stay the same. There are numerous different ways that people try to deal with these nasty feelings, but the number one, guaranteed, sure-fired way to improve a bad mood is…EXERCISE. Use a fitness or a gym membership to help combat the bad vibes. Whenever you are feeling down in the dumps, just remember these 4 tips before you decide to stay home and sulk. Exercise is a proven mood enhancer. Within the first few minutes of elevated heart rate, a person’s mood tends to improve. The effects go beyond the short-term as well. Exercise helps combat long-term depression and anxiety and also helps improve a person’s self-image. It may help to start the workout with a bout of cardio to kick-start the good vibes. First and foremost, if you don’t have a fitness goal, get one! A goal will serve to be a motivating factor on the journey to becoming a better you. Instead of letting life’s speedbumps get in your way, realize that every time you’re walking in to the gym you are getting one step closer to your ultimate goal. A good trainer will sense if your mood is a little different than normal. If you happen to have a trainer, It’s ‘ok’ to rely on them to increase the energy of the workout. Let them help you throughout the workout. It’s not a bad idea to tell your trainer how you’re feeling upfront so he or she can adjust the coaching style to help you get the best possible workout that day. Chop your workout into numerous little sections and think of it as a positive accomplishment to complete each and every one of them as you go. Get through the warm-up and check it off as an accomplishment. Get through three sets of deadlifts and do the same. Mini accomplishments may slowly help build up a person’s mood and make the workout easier as they go. When you finish your workout, look at how a bunch of mini accomplishments added up to equal a big one; the completion of a day’s work. Don’t let a bad mood get in the way of a good workout. Use your workout as a way to change your mood for the better and make it a positive part of your day. Know the benefits that exercise can have on moods, not only for the short term, but long term as well. 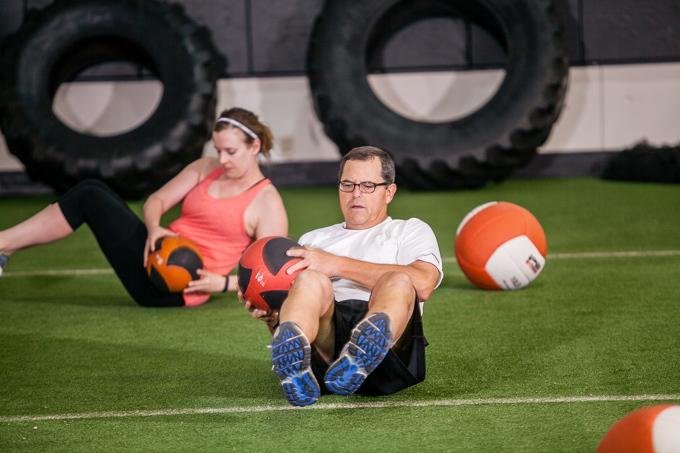 We offer two membership fitness options at Athletes’ Training Center. The first, offers Adult Functional Coaching in semi-private sessions. 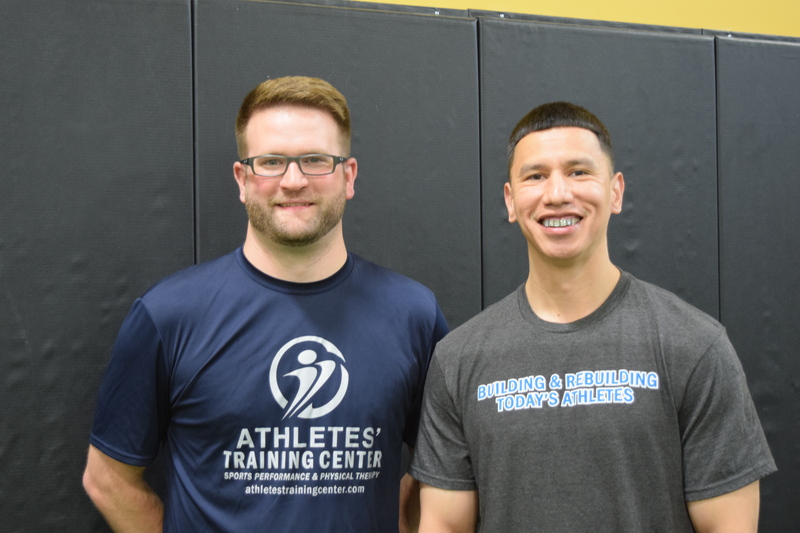 This model gives our members all the benefits of the traditional one-on-one personal training but in a small group setting with one or two other like-minded people. Our second fitness membership option is called Metabolic fitness (MET-FIT) training. It is a group coaching membership designed for those people who are tired of the same old workouts and are looking for challenging workout in a fun, group environment. We offer MET-FIT sessions throughout the day so if you like to workout before work, over the lunch hour, or after work we have times to meet your needs. You can learn more about these membership options by clicking here. This entry was posted in Blogs, Fitness and tagged gus, thiel, bad, mood, workout, energy, fitness on November 21, 2016 by Athletes' Training Center. First of all, what exactly is nutrient timing and how will it affect my performance? Nutrient timing: When you consume certain foods at specific times of the day, those acts will provide increased performance levels and improved recovery following physical activity. Taking advantage of nutrient timing has countless benefits for athletic and physical performance. Periods of nutrient timing that absolutely need to be taken advantage of are: pre-fueling (before a workout, practice, or game) and post-fueling (after a workout, practice, or game). 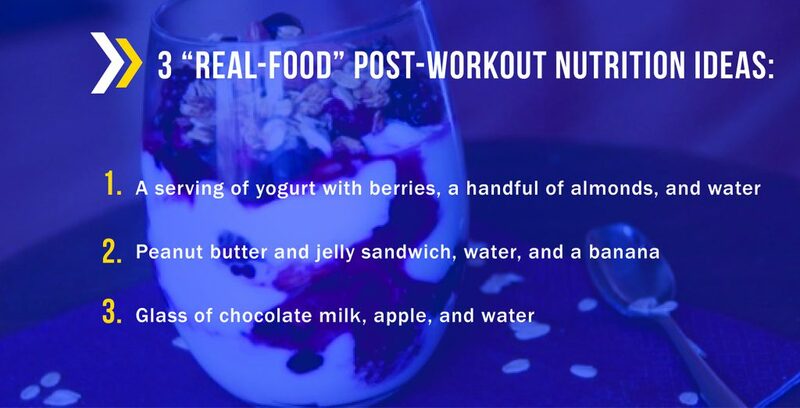 Pre-fueling and post-fueling are also great times to add in extra calories needed to gain weight or maintain a healthy body weight. PRE-FUELING – Pre-fueling should take place 1-2 hours and up to 10 minutes prior to the activity. POST-FUELING – Post-fueling should take place within 45 minutes following a workout, practice, or game. 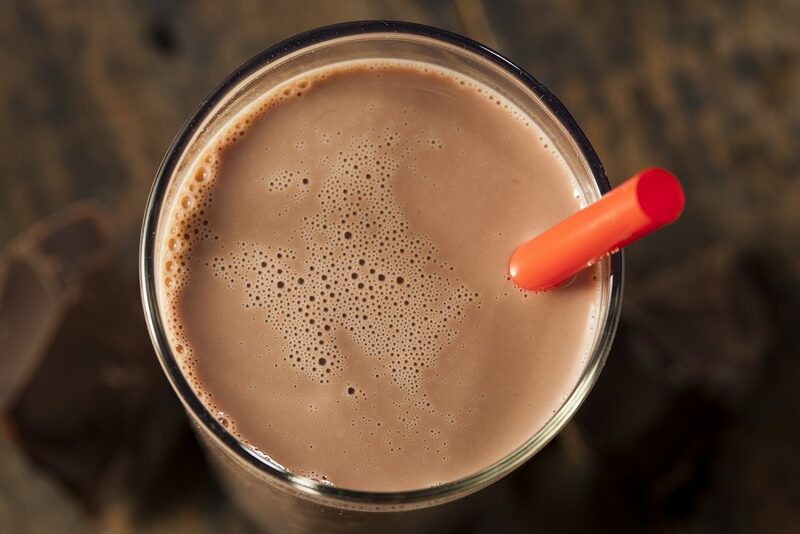 Question: What is your favorite snack during your workout session? This entry was posted in Blogs, Nutrition, Fitness, Sports Performance and tagged trent, claussen, health, snacks, nutrient timing, fitness, pre-workout, post-workout, nutrition on September 25, 2016 by Athletes' Training Center. What is the most underrated part of your training session? I would say it’s the first ten minutes. 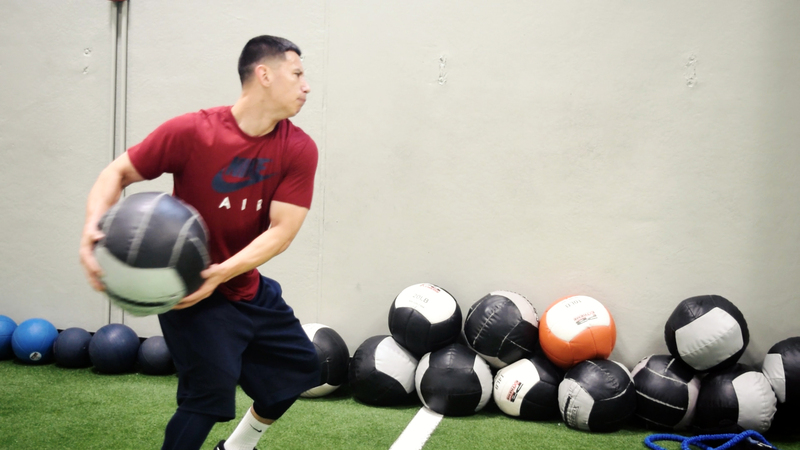 This is the time when you do your soft-tissue work (foam roll, lacrosse ball) and perform a dynamic warm-up. During this time, your body is cold and probably sore from your previous workout. While it might not be your favorite, I would argue that the first ten minutes are influential in the quality of your training session that day. Here are four reasons why the initial portion of your training session is so important to your fitness routine. Our muscle tissue is enclosed by connective tissue called fascia. After pro-longed periods of inactivity or following an intense training session our fascia loses its elasticity which can limit joint range of motion, cause muscle soreness and decrease performance. 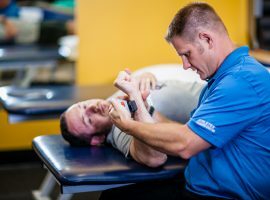 The soft-tissue techniques that we use (foam rollers, lacrosse balls) address these issues to help you feel better, move better and train better. Performing a dynamic warm-up, as opposed to a static stretching routine, warms and adequately prepares the body for training. 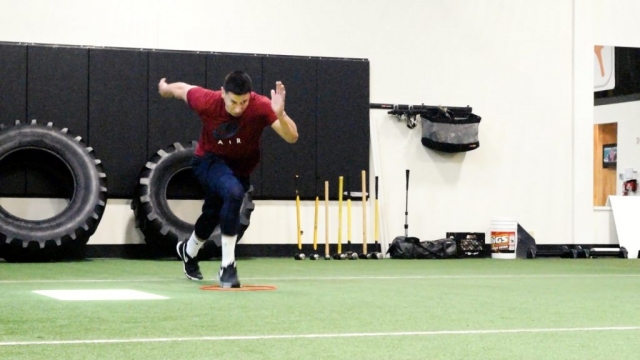 This process greatly reduces the risk of injury during training. As our body warms, our heart not only beats faster, but more forcefully. The combination of beating faster and more forcefully results in more blood to working muscles. The increase in blood is necessary because blood delivers oxygen, which our muscles need to function properly. Lastly, performing a dynamic warm-up is an opportunity to improve joint range of motion. It also serves as a time to prepare the body for movements that will be performed during the training session. Now that you know the benefits, I encourage you to take 10 minutes prior to your workout to warm-up. There are plenty of ways to prepare your body for activity, so feel free to mix it up and try different things. A warm-up should be fun and help get your mind in the right place for training! Question: What is your favorite warm-up movement? 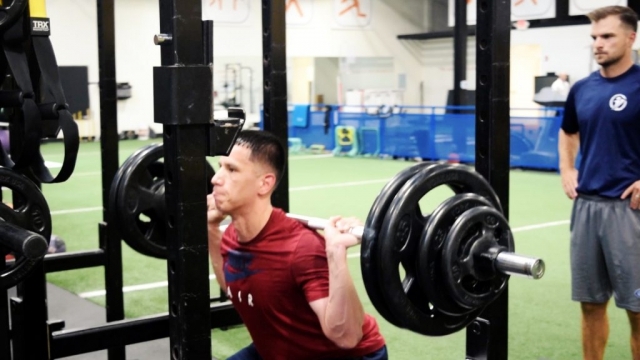 This entry was posted in Blogs, Fitness, Sports Performance and tagged warm, up, benefits, Mike, Servais, stretching, health, warm up, fitness, Exercise on September 11, 2016 by Athletes' Training Center. Is your workout “heart healthy?” Of course strength training improves the way you look and develops fat free mass, but it can also improve your heart health – if performed the right way. If the right sets, repetitions and rest intervals are applied, your heart can get a workout along with your other muscles. We have high demands for our training sessions. We want to get as much work done in a certain amount of time to achieve a certain heart rate and burn as many Calories, all while with getting stronger. We aim to keep your heart rate between 60-90% of your maximal heart rate to remain in a moderate to difficult physical activity zone. The longer we can keep you in this zone, the more it will decrease your resting heart rate and better the health of your heart over consistent training sessions. Group the exercises in a circuit style order and do them with minimal rest until the first set is complete. Following the first set of exercises, take a longer rest until moving onto the next set. Continue that formula for several circuits. After doing this for two to five sets you will see your heart rate climb. This is different from a normal session where you complete one exercise, then sit and rest until you are ready for the next. We utilize a software system call MYZONE to give immediate feedback on how close you are to your maximal heart rate and how many Calories you have burned throughout your training session. It is displayed on a screen to allow your coach to constantly use as feedback to know exactly how your session is going and to offer a little more motivation when needed. We want to make sure you are in the right zone to give both your muscles and heart a proper training session. 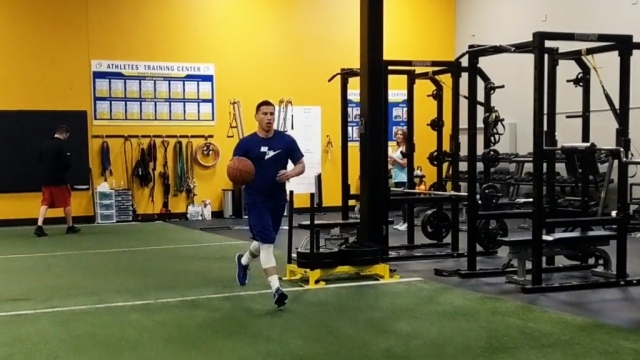 Under the watchful eye of a coach, top notch programming and immediate feedback from the MYZONE system, you will for sure reach your training goals and receive a “heart healthy” training session! This entry was posted in Blogs and tagged trent, claussen, adult, monitor, health, heart, interval, training, fitness, target heart rate, heart monitor, myzone on August 2, 2016 by Athletes' Training Center. It would be ideal to be perfect 100% of the time, but let’s face it – we are human and this is impossible. This is also true when thinking of our eating habits. We try hard to eat healthy, but we simply can’t be ‘perfect’ every day and at every meal. 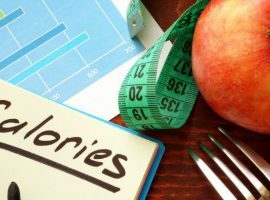 I am going to outline a healthy eating strategy that may help you realize you can still indulge once in a while as long as you follow 80/20 rule. We go through the struggles, like having a stare down with a delectable piece of pie, and then we convince ourselves it is too good to pass up so we dive in. 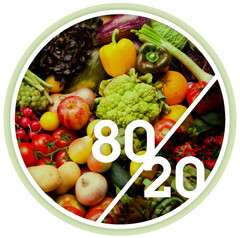 This is why we promote the 80/20 or 90/10 rule at Athletes’ Training Center when following eating habits and strategies. What is the rule you may ask? If we can consistently eat a complete meal of lean sources of protein, fruits & vegetables, whole grain carbohydrate sources, and healthy fats we will make progress on the scale and lose body fat. We know a 100% effort every day is hard to attain, so shoot for 80%. Once 80% is attainable, shoot for 90%. We definitely want you to be conscious about the food sources you eat throughout the day but don’t go crazy trying to be perfect. As you can see during this day you could fit a chocolate chip cookie into your daily food intake, but we are able to make great choices the rest of the day. This is life. We need certain items to stay sane, but don’t let it ruin your daily choices. Remember, it’s normal not to be perfect, and the idea of “perfection” is impossible. Question: What would be that hardest part of following the 80/20 Rule? This entry was posted in Blogs, Nutrition, Fitness and tagged trent, claussen, eating, healthy, food, fitness, 80/20 Rule, nutrition on May 23, 2016 by Athletes' Training Center. 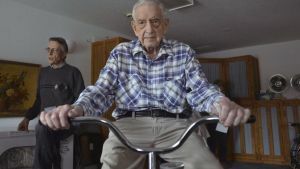 Orville Inglis is 99 years old and rides his stationary bike 4 miles every day. Inglis lives in Walhalla, North Dakota and was recently featured in a story in the Grand Forks Herald. Dale Inglis, adult fitness member, shared the story with us. What an inspiration and testament to staying active! This entry was posted in News and tagged age, health, fitness, Exercise on December 16, 2014 by Athletes' Training Center.